Spring special: Enjoy the beautiful cherry blossoms of Korea with EG Tour B Course B on 5/6 April! 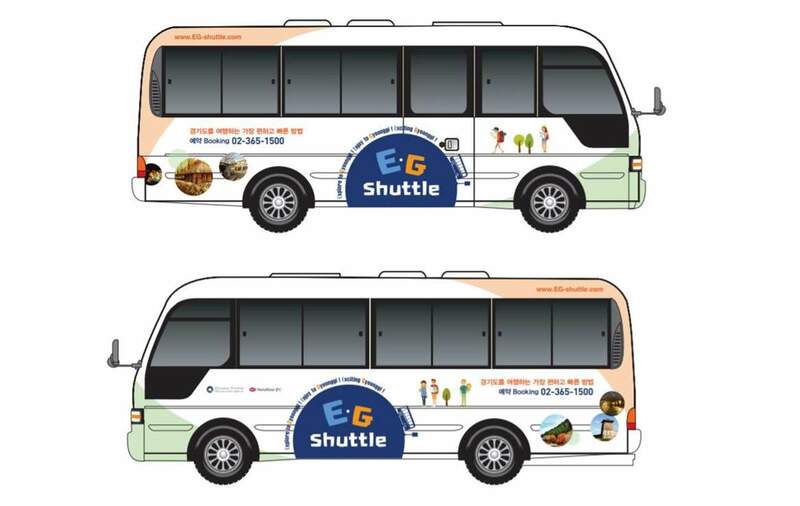 Enrich your trip to South Korea by going on a day-long excursion to the beautiful province of Gyeonggi-do via shuttle bus tour coming from Seoul! 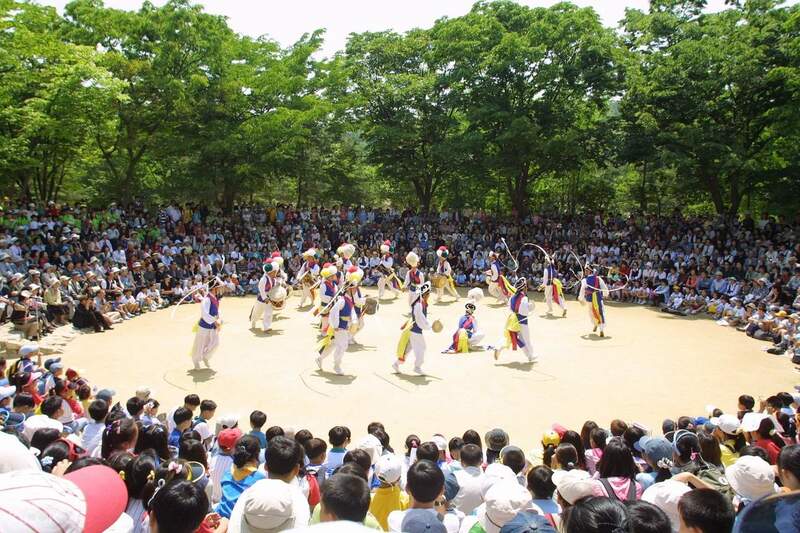 Gyeonggi-do is a large province, so this tour is divided into three routes. Route A will take you to Southern Gyeonggi-do, and it is definitely the route that you must take if you are a history buff and if you want to learn and digest the traditions, culture, and history of Gyeonggi-do. You will get a glimpse of Korean military history when you venture into the Hwaseong Fortress, and learn about traditions in the quaint Korean Folk Village. The magical Everland theme park is also there, and it is a perfect way to have fun with family, friends, and fellow tourists after your educational adventure. If you are looking to be surround by art, nature, and sophistication, Route B will take you to romantic Northern Gyeonggi-do, which is the home of the Heyri Art Valley, a bastion of the humanities built by a community of artists, writers, and painters. You will also visit the Aqua Planet to admire aquatice life, and even take a stroll around the wondrous winter wonderland, One Mount Snow Park. Sanmeoru Farm is a paradise for wine lovers and connoisseurs, and the sensual and surreal atmosphere of the Pocheon Herb Island will soothe your body and soul. If you are a fan of Korean dramas, then Route C is the path to take to get closer to your K-Drama dreams. 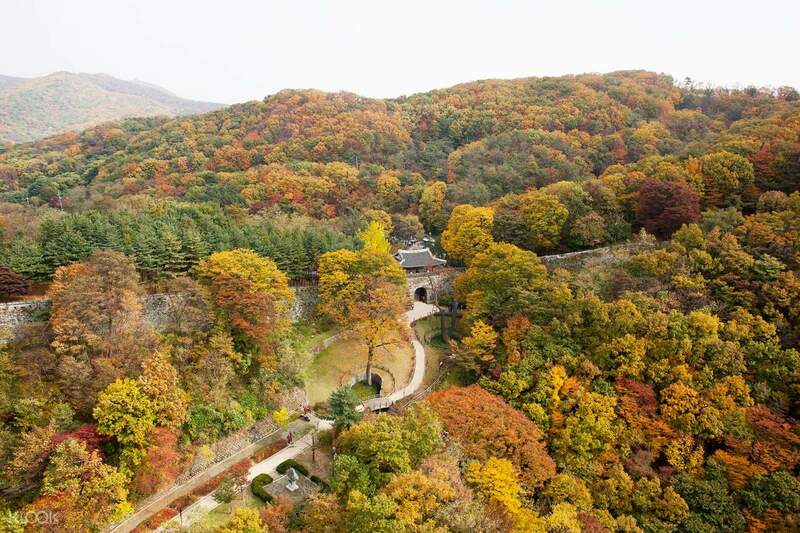 Route C will lead you to Eastern Gyeonggi-do, where most, if not all, of its attractions served as the backdrops during the filming of the dramas. You will be able to take a stroll around the majestic Garden of Morning Calm, and explore the picturesque Petite France, a small village that takes inspiration and pays tribute to Antoine de Saint-Exupéry, author of "The Little Prince". You will also get to drink tea made from the cleansing plants found in Semiwon, where they grow in abundance. Whichever route you take, you will surely have loads of fun. Of course, for a complete experience, take all three routes! Discover the best of what Gyeonggi-do has to offer on this exciting day adventure! Meet up location: in front of Hongik Univ. Station, Hanatour Big. Steve, our tour guide is amazing. He shares many interesting information and genuinely concerned about our group. we have kids in our group but he is patient even when he is enterupted by kids stuff. Overall, this tour is very good! Steve, our tour guide is amazing. He shares many interesting information and genuinely concerned about our group. we have kids in our group but he is patient even when he is enterupted by kids stuff. Overall, this tour is very good! We used Google maps to find the meeting place at Hongik University. We arrived at 8:30am and by 8:57, the bus arrived. Regina, the tour guide, was very friendly and accommodating. We went to two places: Gwangmyeong Cave and Korean Folk Village. Despite the traffic, the bus always arrive on time. The bus wasn’t packed too as we went on a weekday. Really a hassle-free transportation especially if you have kids in tow. We used Google maps to find the meeting place at Hongik University. We arrived at 8:30am and by 8:57, the bus arrived. Regina, the tour guide, was very friendly and accommodating. We went to two places: Gwangmyeong Cave and Korean Folk Village. Despite the traffic, the bus always arrive on time. The bus wasn’t packed too as we went on a weekday. Really a hassle-free transportation especially if you have kids in tow. The bus was waiting for us ahead of time at the exact spot which was mentioned on the details. Both driver and guide were nice. Guide spoke english and she was able to explain to us all four locations and details so we could easily decide two out of four. We went to farm first and after we were done we waited for bus no 2 and we went to Herb Island. In. That bus also driver and guide were nice and guide spoke English. Overall the trip was amazing. The bus was waiting for us ahead of time at the exact spot which was mentioned on the details. Both driver and guide were nice. Guide spoke english and she was able to explain to us all four locations and details so we could easily decide two out of four. We went to farm first and after we were done we waited for bus no 2 and we went to Herb Island. In. That bus also driver and guide were nice and guide spoke English. Overall the trip was amazing. The tour guide is nice. The shuttle leaves on time. So don't be late. I am the only one who availed the tour that day. I was able to go to 2 destinations: gwangmyeong cave and everland. At first, I thought I was able to go to all places included in the tour. However, overall it's good and worth the penny. Will book again to visit the other 2 places. The tour guide is nice. The shuttle leaves on time. So don't be late. I am the only one who availed the tour that day. I was able to go to 2 destinations: gwangmyeong cave and everland. At first, I thought I was able to go to all places included in the tour. However, overall it's good and worth the penny. Will book again to visit the other 2 places. EG Tour is so clear and details information. They will provide for us all information when you reach the bus station. Bus tour is by English that was so convenient for foreigners. EG Tour is so clear and details information. They will provide for us all information when you reach the bus station. Bus tour is by English that was so convenient for foreigners. Loved the korean folk village. You should try this if you're interested in Korea's history & culture. The bibimbap we had for lunch was so delicious! Loved the korean folk village. You should try this if you're interested in Korea's history & culture. The bibimbap we had for lunch was so delicious! Nice place to visit, our tour guide Ms Sunny was great . Not easy to find the meeting place at Hanatour (Near Hongiv Uni. Station) as we took the Airport railway , it will be better if a map attached with the redemption voucher. Nice place to visit, our tour guide Ms Sunny was great . Not easy to find the meeting place at Hanatour (Near Hongiv Uni. Station) as we took the Airport railway , it will be better if a map attached with the redemption voucher. The driver is quite reckless but the tour guide is super good that we were able to accomplish the trip on dmz on time. Time in Dmz is limited so if your tour guide is not good then you will not be able to visit everything. As for. paju outlet, we were able to buy addidas for a super cheap price. The outlet mall is super big. The driver is quite reckless but the tour guide is super good that we were able to accomplish the trip on dmz on time. Time in Dmz is limited so if your tour guide is not good then you will not be able to visit everything. As for. paju outlet, we were able to buy addidas for a super cheap price. The outlet mall is super big.